Played in the 2018 U.S. Amateur ... Reached the quarterfinals of the 2018 U.S. Junior Amateur, his fourth straight year in the event ... A 2017 Rolex Junior All-American first team selection ... Had three-top five finishes at AJGA Invitationals in 2017 ... A member of the victorious 2017 Junior Presidents Cup U.S. team ... Two-time Washington State Golf Association Junior Boys Player of the Year and the 2017 Pacific Northwest Golf Association Junior Boys Player of the Year ... Won the 2017 WSGA Men’s State Amateur, the youngest player ever to do so ... Won the 2016 AJGA Ryan Moore Open and the 2017 WJGA Players Open ... 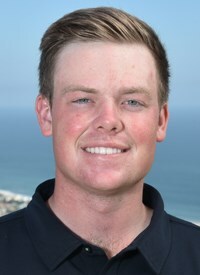 Rated by Golfweek as the nation’s #5 player at the time of his signing, and was #8 in the Rolex AJGA junior rankings ... Was ranked in the top 100 in the World Amateur Golf Rankings during his high school days.